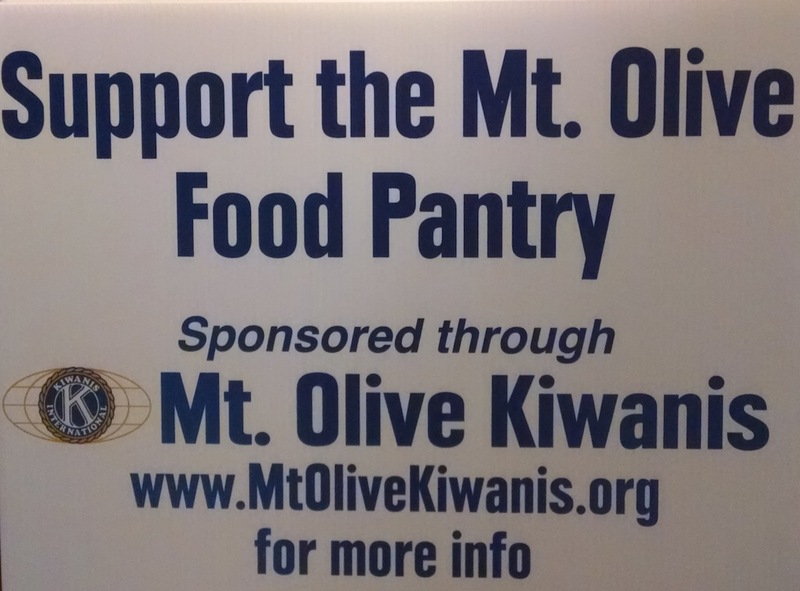 The Kiwanis Club of Mount Olive has established food collection locations where residents can donate non-perishable food on a regular basis. All food proceeds will directly benefit the Mt. Olive Food Pantry located within the Christ Episcopal Church at 369 Sandshore Road, Budd Lake, NJ. Optimal Family Chiropractic – 22 Plaza Road, Flanders, 973-584-4888 - Dr. Brenda L. Rooney, D.C. Thank you in advance for helping Kiwanis help the community. These donation centers will be available year-round, and are part of the Mount Olive Area Chamber of Commerce’s Annual Fall Food Drive during the month of November. The Kiwanis Club of Mt. Olive meets the first and third Thursdays of each month at 7:30 p.m. at Adam’s Family Restaurant at 41 Route 46 East, Budd Lake. For further information, contact Richard J. Moore, Jr., President at rjmoorejr@optonline.net or at 201-841-7783. For further information on the Mt. Olive Food Pantry, please contact Susan Morse, Pantry Administrator, at 862-251-3938 or visit on Facebook.